Owning a house is great but the really fun part is when you can add value to it by putting in your own special touch. 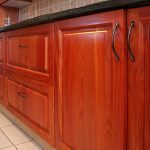 Although additions to your home can be pricey, there are some things you can to make it beautiful without costing a fortune. One area of the home is the outside patio where you can save money and make it unique by putting using stamped concrete. If you aren’t familiar with a stamped concrete patio, simply put, it is a concrete slab that has a textured, embossed surface. The embossed surface is what adds that special touch where you can choose from hundreds of different ideas. What makes a stamped concrete patio popular is that it really does give you a similar texture and appearance of a stone patio for far less money than if you were to use real stone. In many instances, you can save up to half the cost of limestone or natural slate. Using this type of concrete looks amazing because it actually looks like cobblestones, brick, weathered wood and cracked earth. You can also add in fun by creating different patterns such as animal shapes, leaves and all sorts of cool footprints. Another reason for using stamped concrete is that it really is low maintenance while brick patios, on the other hand, are always inundated with weeds and grass growing through the grout. 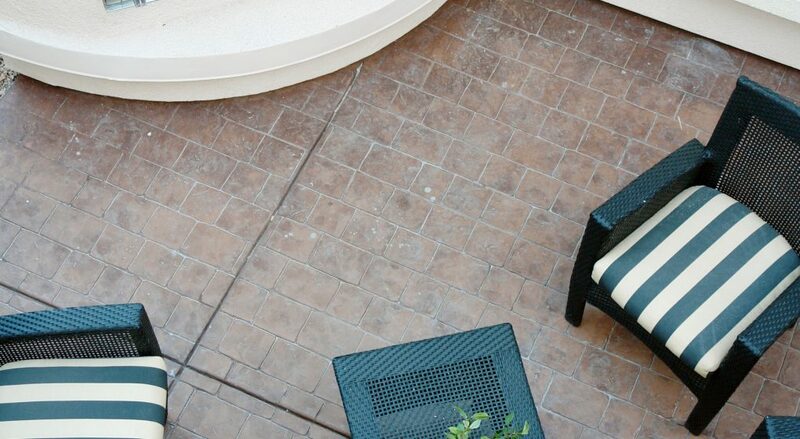 Stamped concrete does not settle over time, rather it maintains an even surface that lasts. The process for laying down the patio is really simple for a professional contractor. Make sure you hire a professional because the entire idea is to save money, not mess up by doing it yourself than having to call in somebody to fix it. The contractor pours and smooths the slab of concrete, then presses a pattern or some unique design into the surface while it is still soft and wet. You can even add color when mixing the concrete or you can choose to spray it on afterward when the surface has been stamped. Hiring a professional contractor is very important when putting down this type of concrete patio. The person should be highly skilled in stamping and can show you a history of their work. When you meet with the contractor, they should have a book that highlights their best work and also be able to provide references. Look online for contractors who specialize in stamping concrete because it’s a great way to see who is the most trusted in your community. There should be plenty of reviews to check out, and also many examples of stamping. 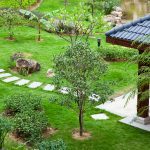 This can give you some wonderful ideas for your own patio that you may have never even thought about. Look at the different contractor websites to see their galleries of photos and also the services that they offer. With so many unique types of stamped concrete patterns to choose from and the different textures, it can add beauty to any patio as well as other parts of your property. 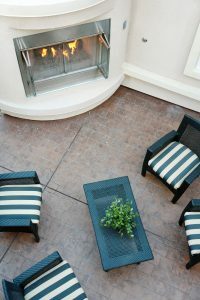 So take a look at installing one of these patios to take advantage of the savings plus all the unique designs that you can create.